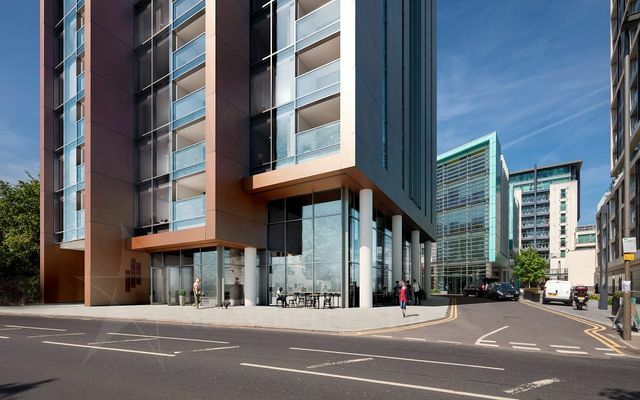 BRONZE, a landmark residential building in Wandsworth, one of the most promising regeneration areas of London, is taking shape near the King George’s Park. As many as 77 apartments, including one-bed (26), two-bed (44), three-bed (1), studio (1) and penthouse (5) will be part of BRONZE by Strawberry Star Group. Located on Buckhold Road, the stunning collection of apartments will redefine the urban lifestyle of Wandsworth, home to central London’s biggest regeneration area – Nine Elms on the South Bank – where a multi-billion-pound investment programme is transforming this largely industrial district into a brand new residential and business quarter. An ideal destination for the capital’s home buyers, Wandsworth is well situated for getting into and around the centre of London. With great public transport links into the capital, commuting to and visiting the city also means residents are never far away from the unique character of Wandsworth. The Planning Design for BRONZE is by the renowned Rolfe Judd while Construction Design is by the internationally-renowned ACG – Ayre Chamberlain Gaunt. Most of the apartments have private balconies while penthouses have comfort cooling. Kitchens have top of the line Siemens equipment and the bathrooms are fitted with the best of the fixtures and lightings, all aimed at enhancing the living experience. Buy an apartment today in BRONZE before prices appreciate. For more information on BRONZE, call 020 3811 0000 or visit the website BRONZE.